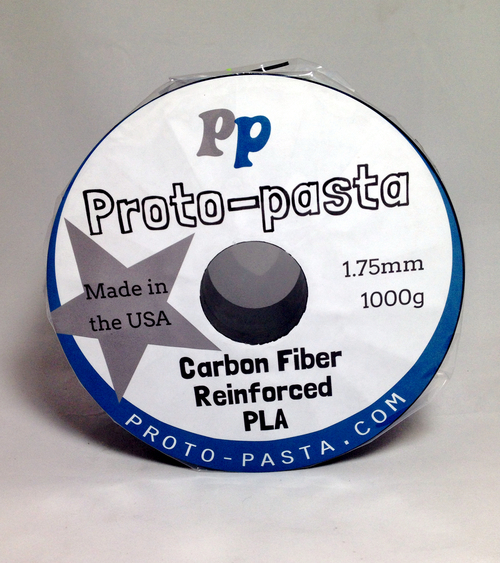 Proto-Pasta Carbon Fiber Reinforced PLA is an incredibly durable filament that resists bending and delivers a rock-solid feel. This popular and exotic material's appearance is black matte, but - due to the embedded carbon particles - it really shimmers! This strong PLA filament provides fabulous structural strength and layer adhesion with very low warping. 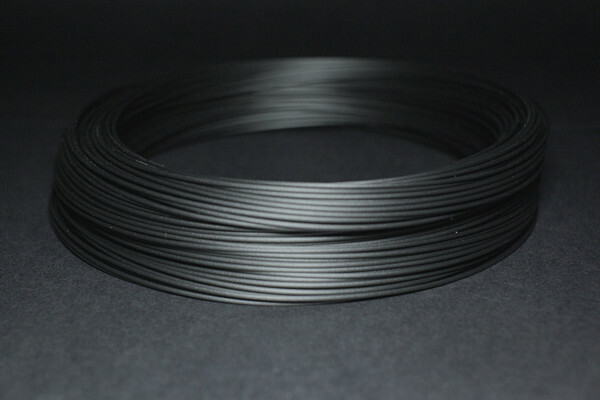 Due to the carbon fiber that is in the filament, it contains increased rigidity, therefore it has increased structural support built right in. This filament is perfect for printing items that do not bend, such as: frames, supports, propellers, and tools - drone builders and RC Hobbyists love this stuff, and it is made in the USA! 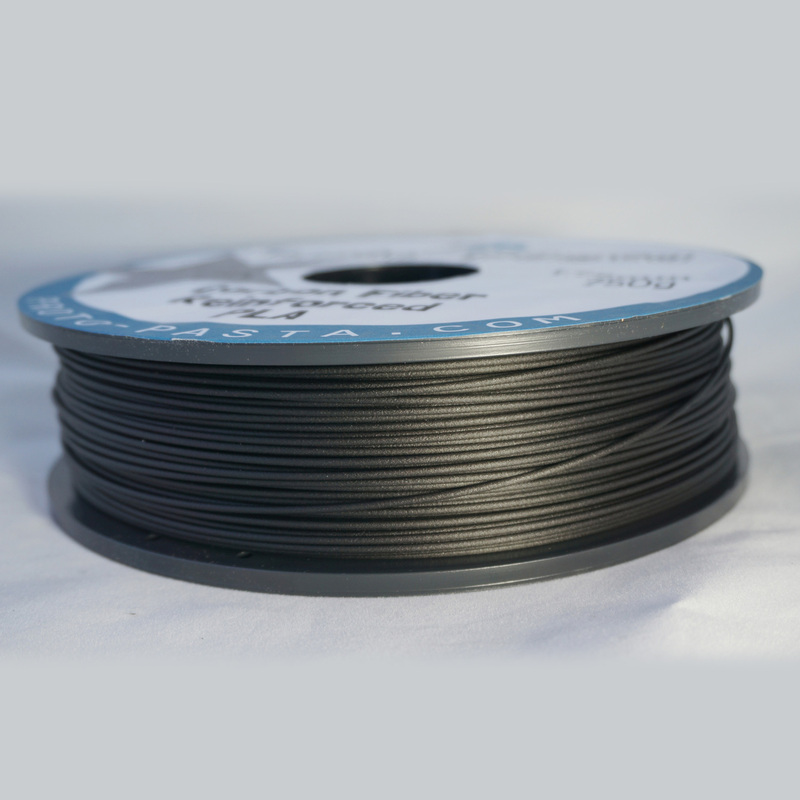 The carbon fiber in the filament is specifically designed to be small enough to fit through the nozzles, but long enough to provide the extra rigidity that makes this reinforced PLA so special. Spool measurements: 8" in diameter with a 2" barrel diameter, 4" hub, and 2" traverse. Printing with ProtoPasta Carbon Fiber PLA is very similar to printing in standard PLA - it does not require a heated bed. The carbon fiber can make the PLA a little more abrasive when extruding, meaning that prolonged use can increase wear on your 3D printer - especially on lower end nozzles. Carbon Fiber Reinforced PLA is moisture sensitive, so we ship it in a sealed bag with dessicant. The filament is quite brittle, so it should be handled with care when feeding/loading through your printer.